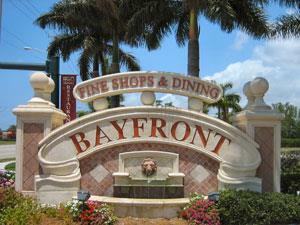 Bayfront in Naples Florida is European inspired village just a short walk away from Downtown Naples. 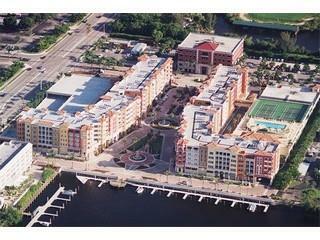 Residents enjoy outside their door upscale dining, boutique and gift shops, art galleries and cabana bar. Easy access to community clubhouse includes heated pool and spa, tennis courts and fitness room. 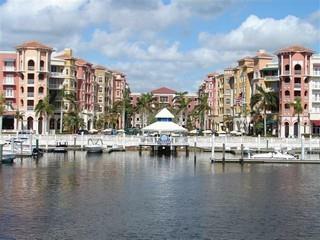 Bayfront Marina offers immediate access to the Gordon River, Naples Bay and the Gulf of Mexico. Boat slips that accommodate up to 40 foot boats are available for lease or purchase. Bayfront is located on the corner of US41 and Goodlette Rd. overlooking the Gordon River in Downtown Naples. Gordon Pass bridge height clearance is 10.5' at high tide and 12.5' at low tide. Location: corner of US41 and Goodlette Rd.